Taking the guesswork out of Disaster Recovery! Have you ever asked yourself, "Where's my data and when was it last backed up?" Many business managers would be surprised at the answers to these questions. 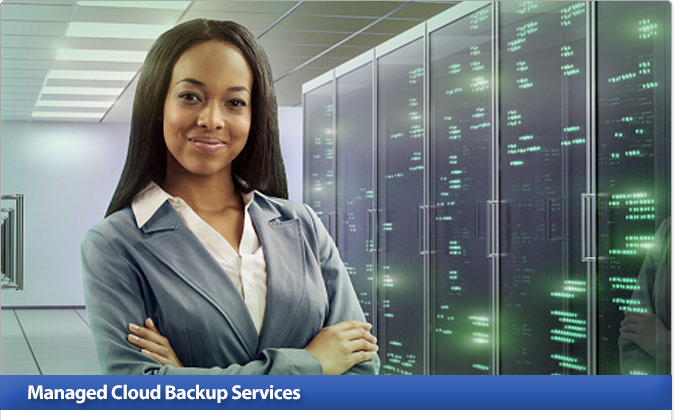 With ICN's Managed Cloud Backup Service, you can be sure that all your valuable business data is properly backed-up and that a comprehensive disaster recovery plan is in place! From setup and monitoring to backup and disaster recovery, ICN takes the worry out of data backup. Each customer is provided with full on-site implementation support. Each system is remotely monitored on a 24/7 basis. Each backup and off-site transfer is checked daily for problems. And when disaster does strike, ICN provides complete on-site Disaster Recovery Services including bare metal hardware replacement. When it comes to ICN's Managed Cloud Backup Service there's nothing more important than security and reliability. All of ICN's hosted services are maintained with a high level of redundancy and backup. All of our servers utilize RAID technology and have multiple redundant power sources. All of our services are protected with the latest in firewall technology. ICN's equipment is co-located at the Cox Business Services facility in Rancho Santa Margarita, California. We feature an underutilized high-speed connection to the Internet, state of the art power & air conditioning with phone hardened redundancy all contained within a magnitude 8.0 rated building with triple layer security including 24 hour live on-site surveillance and security. Give us a call to find out what ICN's Managed Cloud Backup Service can do for you. We'll be happy to come by your location to discuss and analysis your situation. Take the guesswork out of your backup solution - Contact Us Today!